Established in 2010, Aromatree Corporation manufacturers a range of products to market in home care, pet care and auto care segments. While keeping the central theme is the science of aromatherapy for all Aromatree's products. In a short span of time, Aromatree’s pet wellness products have become increasingly popular at various, pet grooming parlours, saloon, spa, pet breeders and practitioners, pet clinics, veterinary surgeons, and retail outlets and shops all over pan India and abroad. Aromatree production facility located at Aerol in Haryana, a 3.5 acre manufacturing plant which features the latest state of the art manufacturing facility. The facility also has a well equipped laboratory with modern testing and measuring instruments to assure superior standards. The plant also undertakes product design, research and development along with production activities at Aerol. Aromatree prides itself on the quality of the products they produce for their customers. Their quality assurance as per the industry standards. Their manufacturing plant is ISO 9001 certified and has a documented quality policy and procedures to ensure high quality and satisfaction to their customers. Aromatree fragrance formulations follows the national, as well as international industry standards. And follow the norms such as, the International Fragrance Association (IFRA) and the Generally Regarded as Safe (GRAS) of aromatic compounds by the United States Food and Drug Administration. Aromatree has been able to gain customer loyalty by combining quality with the continual product improvement through innovation. Aromatree’s specialized grooming solutions are developed with consumers and pets in mind. 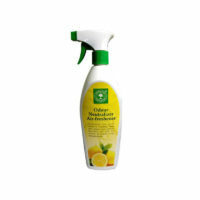 Aromatree’s odor remover deodorant spray have been a trusted brand for significantly reducing the pet odor. They offer pet grooming products to cater any dog or cat and are sure to make the pet and their owners happier.